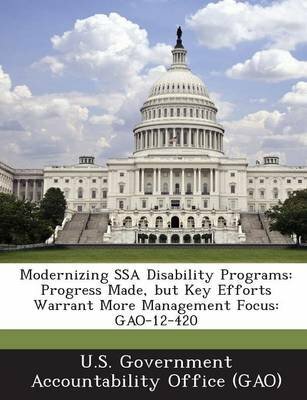 GAO recommends that SSA (1) explicitly identify resources needed to achieve its 5-year time frame for updating its medical listings; (2) follow best practices in its cost estimate, schedule, and risk assessment for the occupational information system; and (3) conduct limited, focused studies on how to more fully consider assistive devices and workplace accommodations in its disability determinations. SSA agreed with the first two recommendations and disagreed with the third, stating that such studies would be inconsistent with Congress' intentions. GAO continues to believe the recommendation has merit, as discussed more fully within the report.